We’ve designed a series of nine steps, with how-to info, to help you with your class blogging. Your third step is to teach commenting skills & etiquette. It’s my great pleasure to introduce our guest blogger, Kathleen McGeady, who provides important advice on teaching commenting skills (regardless of the age of your students). Kathleen McGeady is in the seventh year of her career and in that short time her approach to teaching has changed greatly. The opportunity to take Teacher Professional Leave in 2008 provided Kathleen with the time to explore the role that ICT and Web2.0 tools can play in the classroom. Kathleen loves to find new and creative ways to use blogs, the IWB, Web2.0 tools, iPod Touches and global projects and in her classroom to enhance the learning experience of each of her students. 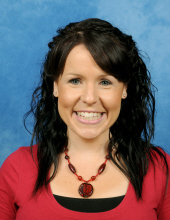 Kathleen is currently teaching Grade Two at Leopold Primary School in Victoria, Australia. She writes about technology integration on her blog and in Education Technology Solutions magazine. This was originally posted on Integrating Technology in the Primary Classroom and has been cross posted with permission from Kathleen McGeady. I am currently in the process of introducing my Grade Two students to blogging. Our 2KM class blog is proving to be very popular with students and families. As I have previously blogged about, I like to follow these steps when introducing blogging to students. This is my third year of blogging with young students and I am still learning all the time. In previous years I believe I progressed much too quickly from having students comment on the class blog to writing posts. My students never really learned how to compose a quality comment and I believe I didn’t set my expectations of the students high enough! I was happy for them just to be commenting. This year I am taking a different approach. Inspired by the amazing commenting skills of Mrs Yollis’ Third Grade students, I am putting a lot of effort into teaching my students how to write quality comments on posts before we move on to writing posts. not revealing personal information in your comment. I really wanted to limit the “I like your blog!! !” or “2KM is cool” type comments and I am finding this explicit teaching of what a quality comment looks like is really working. having students read and comment on a post on our blog as part of a literacy rotation on the computer each week. I collaborated with my teaching partner, Kelly Jordan on this poster “How Can I Write a Great Blog Comment?” to teach students about blogging skills. We will also send a copy of this poster (as show below) home with each child. Linda Yollis has written a fantastic article about how to teach commenting skills. It is well worth a read! I have “borrowed” many ideas from Linda such as recording a screencast video that shows how to leave a comment on the blog. I recorded my screencast through Jing. I also used Linda’s idea of sending an email out to all parents to encourage them to leave comments. As Linda says, “commenting is what keeps the blog alive” and “teaching and encouraging good commenting skills makes your blog more interesting for everyone.” I agree! I use a How To Comment page on my 2KM class blog to explain to parents ad students how to comment. Please leave a comment on our posts!! 6. Your comment WILL NOT appear straight away. It is sent to Miss McGeady via email for checking first. If your comment is okay it will soon appear on the site! 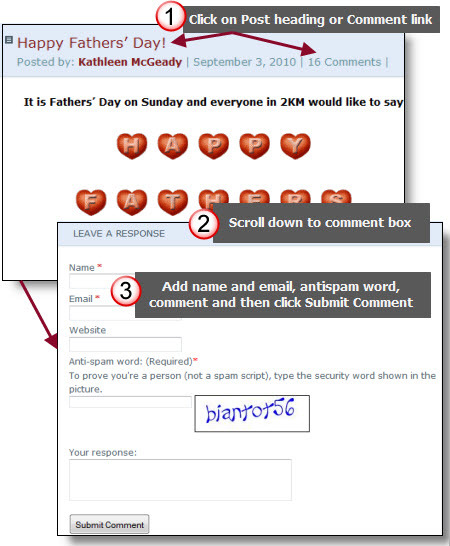 The default commend moderation settings on Edublogs blogs is that any visitors that have had a comment approved on the blog in the past will have their comment immediately posted and only comments from new visitors go into moderation. 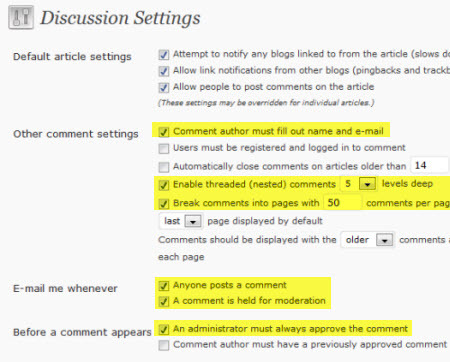 If you would like all comments to be moderated and not be published on your blog until approved by an administrator you need to change your comment moderation setting in Settings > Disccussion to “An administrator must always approve the comment”. Settings > Disccussion is the Advance Admin interface. If you are in the Easy Admin interface you need to click on Activate Advanced Admin button at the top of your blog dashboard. Thanks Kathleen for writing this guest post and for all your great work! Please leave a comment here or on Kathleen’s post if you have any more ideas about teaching commenting skills to students! Great addition and idea.Is it possible to use Blogger now and have students as “contributors,” not authors, so posts can be approved? I am not seeing that option and I thought blogger used to provide it. Thank you so much for sharing valuable thoughts about commenting. It will be helpful for me as well as beneficial for people. I found your blog post to be very informative. This is a good idea to use blogging in school. I thought I knew the importance of blogging until I read this article but from your blog I know the real value of blogging. I do not correct comemnts for a few reasons. First, they can be too numerous at times. Secondly, if I always do the editing work for them then students will never do it themselves. Third, I have several reluctant writers who never get a word down on paper but will make an effort if they get to write on our blogs. I fear that correcting their work will cause them to lose enthusiasm and stop writing. It is these students who could most benefit from practicing writing. I am new to blogging but I have set expectations for comemnts (proper grammar, spelling, makes sense type of stuff) and have brainstormed with students sentence starters for helpful commenting. Also, to reinforce my expectations somewhat I am having students occasionally reflect on their comemnts and set/review goals for future comemnts. As far as posts are concerned, I am finding that students write better posts than comemnts. I plan to ask my students more about this after Spring Break, but its my guess that students are taking posting more seriously than commenting. I think they feel that there work is the post and the comemnts are just an extra . I think that if they saw a good conversation going on in the comemnts (maybe on another classroom’s blog) they may get the idea that comemnts are as important, if not more important than the post. Thanks everyone so far for tkniag your time to leave a comment and share your thoughts. I feel the need to apologize and here’s why it’s is very common for me to respond back to all comments, and often I’ll respond to each comment individually. I do this for quite a few reasons including:1) when I respond back and especially when I respond back with my own thoughts and ask questions it helps me more reflect on the topic, I learn more and I gain a longer term memory of what was discussed2) As a blogger it also shows that I value the comments readers leave. Some times when bloggers rarely respond back to comments it can make readers feel like the blogger doesn’t value their input3) It helps create a vibrant community in comments where readers and the blogger interact with each other.So I’m apologizing because this is one of the few occasions except off course on the class blog list and want to connect with other classroom posts where I haven’t done exactly that. The reason why is because this is an occasion where I feel this is a really important conversation where there is a wide range of differing opinions and I wanted to encourage readers to share their thoughts, and interact with each other without me directing and influencing the conversation based on my own personal views. Now chuckling and hoping that what I have just said made total sense? My opinion on learning is I disagree to let people struggles on an assignment because if you don’t help them they might never figure out what to do or they might not know an answer like if you get stuck and a answer and the teacher don’t you the right answer you won’t ever learn the answer and you will always get it wrong. I also disagree because it is hard and it helps some people learn that way and it is the easiest way to learn then doing it the hard way and get it right away. Another reason is that some people don’t like to do it the hard way and struggle because they probably don’t like struggling. My last reason is I don’t like learning without smart people to help me do my work when I need it like when I get stuck on something I can’t figure out. I don’t like learning stuff without smart people to help me. I struggle a lot with learning a few things. Struggling is bad because you could get a lot of things wrong and still not know what it is. If you have a teacher you could get a better score. I am joyous to find your differentiated way of writing the mail. Now you make it very simple for me to realise and implement the notion. express gratitude you for this post. hold it up. I really like the fact you are insisting on correct grammar and spelling! Thank you for keeping standards ‘out of the gutter’! The children truly will thank you when they are older and understand the significance of good writing; it’s what has enabled me to continue my straight ‘A’ Grade Point Average (GPA) throughout graduate school!! Thanks again! Sounds like a great idea. It can be difficult to know what would work best with older/younger students without actually teaching that level. I’d like to gain more insight into commenting at different stages of the curriculum. Thanks everyone for your comments. This whole discussion about formal writing style is an important discussion. We could open this up to a wider debate by me writing a follow up post to get a wider discussion happening. So I could take your different ideas from this post and put it into a follow up post to invite others to comment. What are your thoughts? I would like to read what other educators think about class blogs and their ideas for using blogs with students. Formal writing is something all my students need practice doing, so I could benefit from what other educators think on this subject. @Susan Cavenaugh, I’ve followed up with the topic on a new post and there are lots of different opinions in the comments. The answer is in the old days ppoele would call socks, stockings, so their stockings would be filled by their foot every morning and when they take it off at night, it’s emptied. On Christmas night, the stocking is filled with toys and stuff and emptied in the morning and admire your gifts. So it’s a sock/stocking. I teach at the high school level and agree that sometimes a form should be supplied to the student. I think it depends on your reason for creating a blog. I would want to use it for communication among students about assignments I have given. In such a case, is a formal style necessary? My students are so used to texting it is sometimes hard to get them to elaborate on their thoughts. I would like to hear from some teachers for which a formal letter style is not used. How do you approach a class blog? What is its purpose? What great ideas or activities have come out of using a blog for your classes? A focus of my reading rotations in the last couple of weeks has been using the class blogs and learning how to comment using correct letter writing “ettiquette”. I would promote any teacher of junior primary students who have class blogs to explicitly teach and instruct what a good blog comment looks like. Not only are my students learning about commenting on blogs, but they are also revising the style of letter-writing which is a key genre of writing in the early years. I would not be comfortable with my students using a “short-cut” approach with abbreviations in their comments, nor would I approve of them choosing to leave out important elements of letter-writing (eg, a correct greeting and closing). As an adult, of course we use such abbreviations and can choose to write how we like, but 7 and 8 year olds need to be explicitly taught the foundations of correct letter-writing skills. In this day and age, blogging comments are the perfect avenue for such teaching opportunities! The quality of my students’ comments has improved considerably in the last fortnight after I provided them with examples of great comments on various blogs. They are now keen to use the correct format and they are also developing their language and vocabularly skills, as well as the vital skill of editing their work. All of these are essential elements of literacy in the early years and I am enjoying using blogging to assist their development in these areas. I agree, there are all kinds of good ways to comment on a blog, and come to think of it, style varies based on the style of the blogs themselves, too. I see the educational benefit of teaching kids the most polite and “correct” form. Nice post and comments here. I think that the comment section is the lifeblood of my blog and have therefore devoted a lot of thought and attention to it. I completely agree with your response to Rodger’s comment. I see many other sites that allow a more casual style of commenting like Rodger may be advocating. Very often, that casual style may be applicable and even helpful to the comment section. My elementary blog uses technology to promote a greater understanding of third grade reading and writing skills. The letter structure has proved to be a very successful method for teaching my young bloggers about commenting. As you said, there certainly isn’t any harm is using the format. Thank you, again, Kathleen for supporting quality educational blogging! I think you have a really valid point but I thought I’d explain why I adopted the letter writing framework. The students I teach are 7 years old and are only just learning writing conventions. When I didn’t give them any framework I found they would get on and write “the blog is cool! !” type comments which don’t add anything to the post. I have found that my young students need some sort of guidelines and the letter writing format works well. I certainly agree that blog comments do not have to be in the “letter” format however I disagree that comments should not be written in that way. I believe there is no harm in writing your comment like a letter if you want to. I try to expose my students to lots of different blog comments so we do discuss how different people write (some more structured, some less structured). If I was working with older students I probably wouldn’t teach the structured letter writing format however given the age of my students I have found this to be necessary. This is an interesting debate. In fact it even begs the question that “What are the characteristics of writing a blog?” My young learners often discuss forms of writing and we look at the difference between writing a letter or writing an email message. I’m not sure I would agree that children should be guided to writing a blog like a letter, however I would agree that you could discuss together the similarities. Example, they may both have a opening (Dear..), they should have some content which is well structured and they may also both need a closing (Love from….). However, they wouldn’t have a return address or necessarily the date (since that may attach automatically) so it is not exactly like a letter either. I feel that teachers should probably spend more time addressing the issue of “good quality content” over the conventions of structure which seem to be becoming more and more varied anyway. And my last two cents comment is show the children strong and weak examples of blog entries and discuss what makes them so. People learn patterns better when they understand the reasons for them.